In the fall, I will be starting a new Saturday Social group for ages 7-10. Let me know if you are interested as I have a few spaces available. This is a great program for kids who have trouble socially and have mild anxiety. Classes are small and an interview is conducted beforehand with students to ensure a good class fit. Ratio of children to trained adults is 3:1. Every class ends with a 15 min. parent component to keep you abreast of what was covered, allowing you to practice skills with your child. Classes are Saturdays starting September 23 and running for 10 sessions. 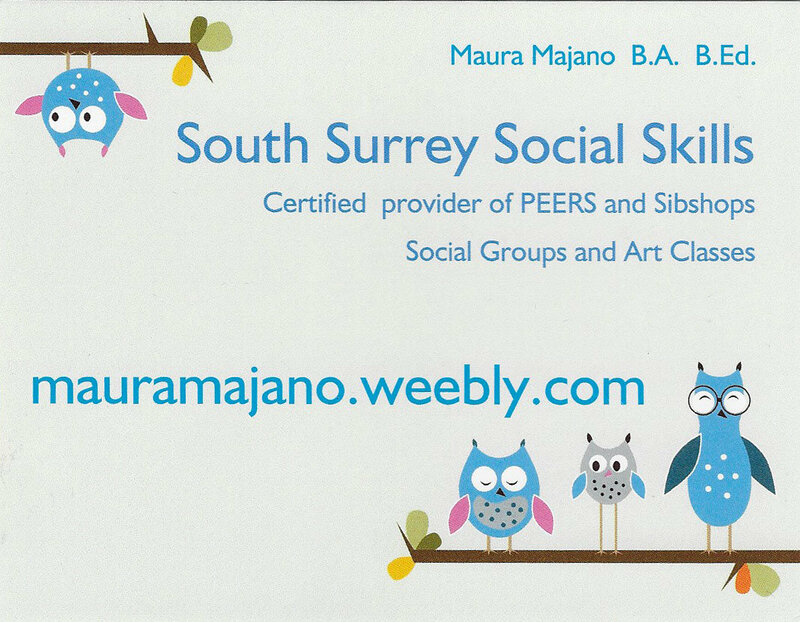 At the final class the kids will receive a certificate of achievement and have a class party. Cost is $600. This entry was posted on September 23, 2017 by Events Manager.